“Valley Vision” is our three-year update for volunteers, donors and other stakeholders. You’ll get insight into each of our key areas — Housing Counseling and the HUD Intermediary program, Real Estate & Community Development and Workforce & Business Development — as well as success stories from some of the people we’ve recently helped. We’re also pleased to be able to feature wonderful images of the Mon Valley, which were captured by local photographers and generously donated for our use. You’ll see a few sides of the region you probably haven’t seen before. 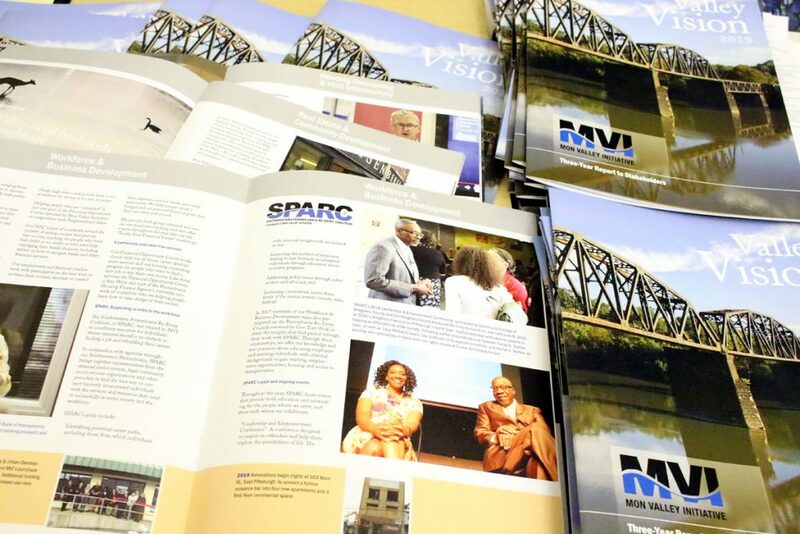 And because MVI celebrated its 30th anniversary in December, “Valley Vision 2019” also features a timeline of some milestones in our history, as well as stories about the events that led to the founding of Mon Valley Initiative in 1988.